Dyna-Ski Boats: If you want to try it before you buy it? I am a pretty firm believer in trying something before you buy something usually. I did buy my first and last Hydrodyne boat without trying it. Reputation and experience with their products which my friends owned and I skied behind is how I made my decision. There was no internet! I actually had my younger brother stop and order my boat since I was very busy with work and play. It turned out well and I still have the boat although almost every mechanical thing has been updated and/or replaced over the years. No fiberglass work has been done though. So I have the original 1987 hull, carpet and windshield. Trailer, most of the rigging and the engine has been replaced. The engines several times. But that is another posting so back to the real subject. When it comes to used products and products without a warranty it is buyer beware. I would not buy a used boat or motor without a test ride, drive and ski. I'd also pay an independent mechanic to check an expensive used product before I bought it. Boat motors on a pallet could be a nothing more than a boat anchor. 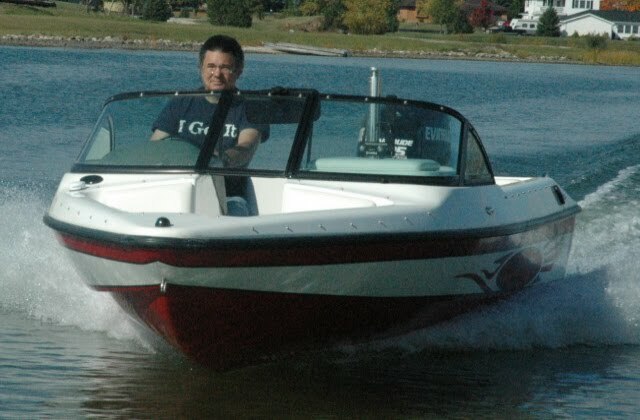 Boats that you have not tried could perform lousy or have a rough ride and big wake. It "ran well last time I used it" is not a guarantee of anything but trouble most likely. Just like "I don't have time to finish the project" or "the repairs should be cheap and easy". Yeah right then have them done and call me back! Since we pretty much sell Dyna-Ski boats directly you either need to know some one that has one or go some where and try one out. Unless you roll the dice and just "go for it". Seems like many people have rolled the dice somewhat, went for it and we have not failed anyone yet. The owners of the boats in Russia and the Cayman Islands did not come here to try before they bought. With the internet you can find a wealth of information about products and what customers think about the products. However remember that it is nearly impossible to please all the people all the time. I think we have done a pretty good job. If you want to try a Dyna-Ski I'm making this offer. Come to Wisconsin and try one this summer. I'll pay up to $500 towards your reasonable expenses if you buy a Dyna-Ski within one year of trying a Dyna-Ski with me or my Dyna-Ski friends when you take delivery of the new Dyna-Ski boat. There are a couple other places we may be able to make something work but it will take even more planning and the summer is short. For specific details and to set something up please call or better yet email and ask. I'm a busy person just like you and everyone else but we will do our best to make something fit your schedule. Don't wait to long as this offer may be withdrawn at any time. Call: 715-854-7501 and expect to leave a message.